Both modern and pretty by design, these marble plates make a fun addition to any wedding or bridal shower. 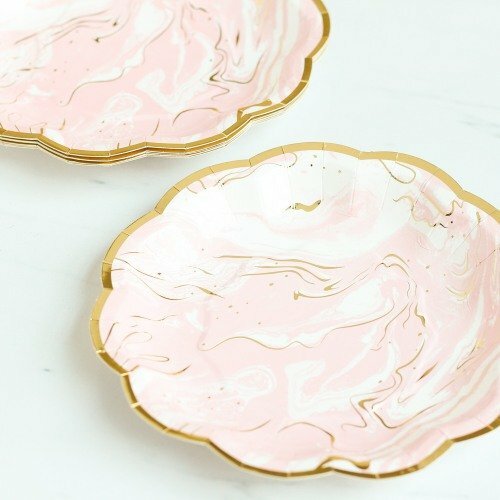 Each plate features a marble design in pink, white, and gold, as well as a scalloped gold rim. Perfecting for serving appetizers and desserts.